Palm Sunday Greetings | A.B.E. 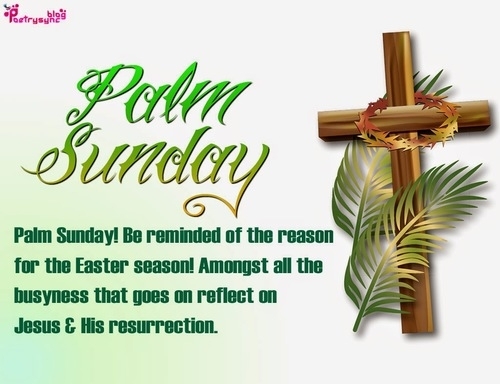 Remodeling, INC.
On this coming weekend, Sunday not only marks the 1st day of Spring on the calendar.. Sunday is also Palm Sunday-no less important. It is the start of "Holy" week. Many ponder the reflections of Palm Sunday and the journey of Jesus. We respect "your" beliefs…however, as the journey of Jesus is believed by us..we invite you to be reminded of the reason for the Easter Season… and so amongst all your busyness that goes on remember to reflect on Jesus and His resurrection. Yea, we enjoy the festivities of family getogethers, the hunting of "Easter" eggs and treating our children with "Easter" baskets, while believing in the reason for the season. May the Grace and Peace of our Lord Jesus be yours in abundance. Be blessed. Enjoy. Respectfully submitted. We wish you all a wonderful and joyous Palm Sunday - and pleasant Spring day.